The Animal Allies Project (TAAP) is an education and career development program that uses Wildlife natural history, values, and culture as models for at-risk youth and prisoners. Drs. 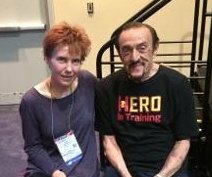 Tina Bloom and Philip Zimbardo. In early 2017, Dr. Tina Bloom, a clinical psychologist working at a men’s maximum security prison, shared the story of the traumatized young male Elephants with her Peer Assistant prisoners. They were galvanized. The parallels between the experiences of the traumatized young male Elephant (bulls) and their own were remarkable. Both male Elephants and humans had, as children, lost their families to violence, were forced to survive on their own in a hostile environment, and never had the chance to receive traditional mentoring by elders. Together, these traumas lead to symptoms of PTSD. Peer Assistant prisoner, Tiant Mitchell, was so moved and inspired by the Elephants that he wrote a manual to teach fellow prisoners how to be fathers to their children, even while behind bars. 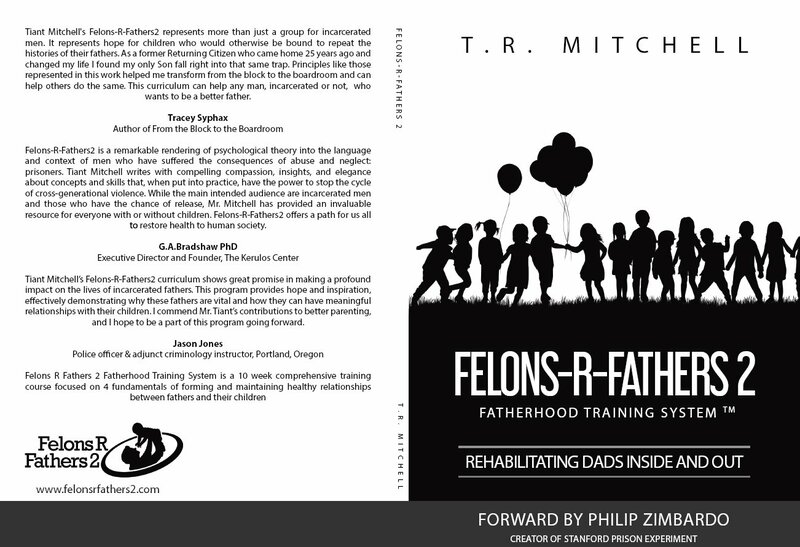 Endorsed by Stanford University professor of Psychology, Dr. Phillip Zimbardo, Felons R Fathers 2 is now in press for publication. The process leading to the creation of FRF2 is a perfect example of how Animals provide ethical exemplars and agents who inspire human transformation. Tina and Tiant’s mutually respectful, trauma-informed therapeutic relationship lay the foundation for introducing the Elephants, and led to their contacting Kerulos. Tina reflects, “By bringing the Elephants into the conversation, the experience of one expanded to the scale of two, three, and entire community, which is unbound by prison walls. The Elephants opened the hearts and minds of prisoners. 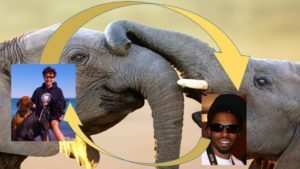 In so doing, the entire human project was re-framed as a trans-species movement for social justice and healing.” By recognizing kinship with Elephants and other Animals, humanity discovers the path back to wellness guided by our nonhuman kin. Now a member of Kerulos’ faculty, Tina is working with Gay and Jason Jones, a police officer with the Crisis Intervention Team of the Portland Police Bureau (Oregon), to create a curriculum for at-risk men and prisoners preparing to leave prison. Prisoners Tiant Mitchell, Damion Rivers, and Robert Serrano, all schooled in attachment theory and traumatology with Tina, are co-authors and collaborators of the Animal Allies Project. 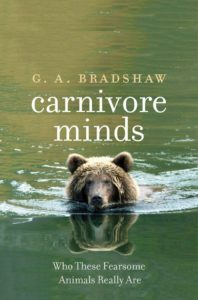 The curriculum draws from Gay’s work with Elephants and research on Carnivores. In addition to psychosocial learning, and as part of the Animal Allies Program, learners will be offered opportunities to apply their insights with practical training as interns with Animal related non-profits and environmental restoration projects. This will provide hands-on experience in their career development while at the same time serving Nature.